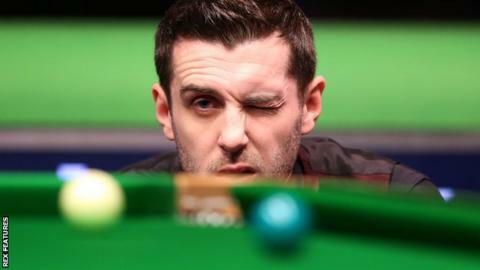 Mark Selby rediscovered his form to reach the UK Championship quarter-finals in York, but world number four Shaun Murphy was beaten by Marco Fu. World number one Selby set the standard for a near faultless display against Thailand's Dechawat Poomjaeng with an opening-frame 82. And four more 50-plus breaks saw him wrap up a stylish 6-1 victory. Murphy led 3-2 against Fu, but the world number 14 was in imperious form to hit back for a thrilling 6-4 win. Fu said: "It was high-quality match at the start but both of us were edgy towards the end so I am just happy to get over the line." Hong Kong's Fu scored breaks of 93 and 104 to go in at 2-2 at the interval, but a superb 83 by 2008 champion Murphy made it 3-2. Two successive 50s by Fu saw him take a 4-3 lead, and he took advantage of some uncharacteristic errors by his increasingly anxious opponent to set up a meeting with either Liang Wenbo or Tom Ford. In the afternoon session, world number 81 David Grace beat 2006 champion Peter Ebdon 6-2 to join Selby in the last eight. Grace, from Leeds, took advantage of a couple of fluked reds to score breaks of 84 and 75 to establish a 2-1 lead. And he stretched that to 4-1 before sealing an impressive win over veteran Ebdon. But the truly high-quality snooker came from Selby. The Leicester man admitted he was extremely lucky to scrape past Jamie Jones 6-5 in the third round. But Selby told BBC Sport his display against Poomjaeng was the best he had played in "a single match all season". "Winning is always great, but to play like that and win is even more special. I am very happy with the way I played," he said. "Every time I got a chance I seemed to win the frame in one visit. You can't always play snooker like that, but it does put a marker down for other players. "I probably shouldn't have been in the last 16." Poomjaeng only edged through his third-round match late on Tuesday night, coming back from 5-0 down to beat Mark Joyce. But there was never any question of a repeat fightback from the world number 51. Selby, the 2012 winner, barely gave Poomjaeng a chance, scoring breaks of 58 and 48 in frame two, and following that with a stylish 106 and another 80-plus knock to lead 4-0 at the mid-session interval. A 98 came immediately on the resumption, and although Poomjaeng finally got on the board, winning frame six, Selby closed out victory with a tidy clearance in a scrappy seventh frame. Selby, one of only 10 men to have won snooker's triple crown of World Championship, UK Championship and Masters, faces England's Matthew Selt or Luca Brecel from Belgium in the quarter-finals. Selby added: "I will be full of confidence after that performance. If you play like that and don't get confidence from it then there must be something wrong."